Today, April 6, 2017 marks the 100th Anniversary of the United States entry into World War I declaring war against Germany. Also known as the First World War, it was a global fight originating in Europe from July 28, 1914 to November 11, 1918. One of the deadliest conflicts in history, more than nine million military personnel and seven million civilians were killed as a result of this war. More than 116,000 Americans made the ultimate sacrifice. 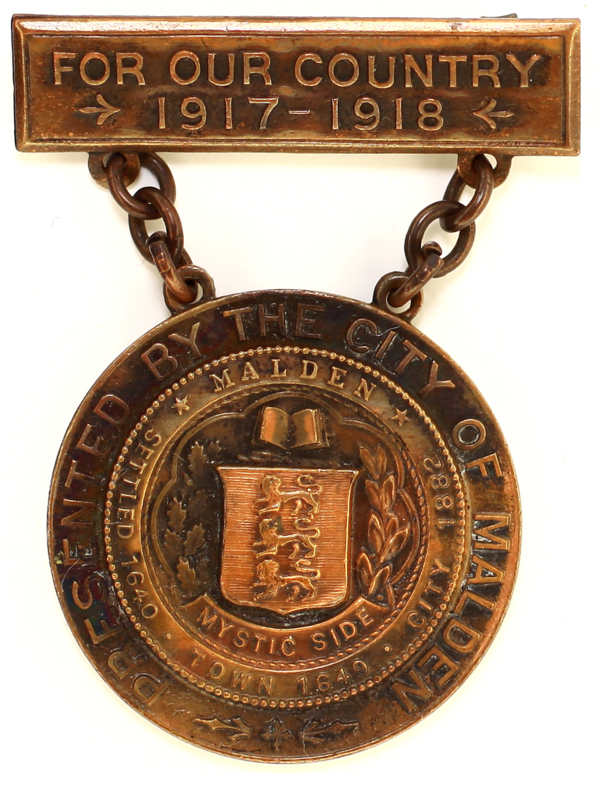 Approximately 2,000 Malden men and women served in uniform during WWI from 1917 through 1919. Malden lost nearly 80 servicemen killed in action or who died later from their wounds or exposure to gas and disease. Most of these deaths occurred in just a six month period from May 1918 through November 1918 and included Austin F. O'Hare who was killed on the very last day of the war, Armistice Day, November 11, 1918. To read more click here. On this 100th anniversary, let us never forget the sacrifices of our soldiers and the war that shaped the social, military and political fabric of the 20th century. This Memorial Day, Monday, May 29, 2017 at 1 PM, the City of Malden and the Irish-American Club invite you to a ceremony to honor its men and women who served during this war. The event will take place at the WWI Monument located at the corner of Malden Street and the Fellsway at Devir Park. We will remember those who made it home to Malden and many others who paid the ultimate sacrifice, such as David Tartikoff and William Trafton.